Shop online for the best Dunedin music and sound. Discover the award-winning hifi audio products unique to the city and have them delivered to your door. Design Build Listen is the home of the radical award winning tonearm The Wand®. 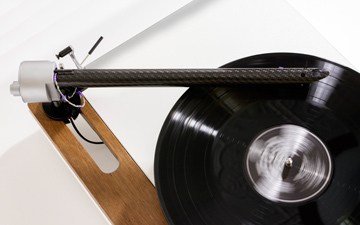 The Wand Tonearm is a response to the world-wide resurgence of vinyl records. It reinvents the traditional design using carbon fibre and computerised manufacturing. Yet with the goal of providing a more engaged musical experience.